THE SOUL CLINIC COLLECTIVE IS A COLLECTIVE OF BEAUTIFUL PEOPLE DEDICATED TO HELPING YOU REACH YOUR FULLNESS OF HEALTH- body, mind and spirit. Welcome to SOUL CLINIC COLLECTIVE – a sanctuary of peace and reflection, where forest-views and soothing hands revive your spirit, calm your mind and purify and pamper body and soul. Make time for yourself and your loved ones– relax and unwind, with our extensive range of healing therapies, radiant retreats and organic treatments. You can find us at the SOUL CENTRE in Titirangi and monthly at the Titirangi market. We create beautiful personalised gift vouchers that can be used for all our treatments, therapists or even for classes and workshops. They are simply divine! Can't get out of the house, we can come to you, any of our treatments can be re-located to your home, to a park or where-ever you wish to be treated!! Additional costs apply for this service. Wilhemeena Isabella Monroe is the founder and director of the SOUL CENTRE. She has been working in dance and holistic health and wellbeing for over two decades and is one of NZ’s most prominent somatic practitioners. Her clinical practice combines, biodynamic cranio-sacral therapy, massage, movement therapy, yoga, and chi kung. She is a certified SRT facilitator, a Shin Somatics movement therapist and trainer, a certified Birth into Being instructor and teaches for the International College of Elemental Chi Kung - she has taught somatics and movement in many institutions, universities, training programs and communities. Kerry is the President of Reflexology New Zealand. 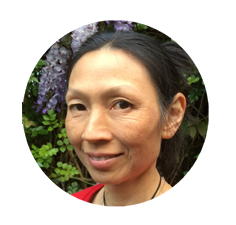 She qualified as a reflexologist in Abingdon, Oxfordshire in 2002, having already completed a massage course and Reiki level II. She went on to study Waveform Energetics, a means of accessing the energetic matrix, which she incorporates into all of her treatments to help identify the points of change and add to the effectiveness of a treatment. Kerry’s interest in complementary therapies was inspired by her mother, especially when she turned to reflexology for an issue which doctors had not been able to help with. Jocey is a massage and bodywork practitioner with over 20 years experience. After having studied massage with Auckland School of Massage, she underwent further training through Hellerwork International, one the world's leading training institutions in the field of bodywork. She has since continued to expand to her skills through additional training such as craniosacral therapy and reflexology, and through related practices that invoke healthy mindbody function such as tai chi, chi kung, yoga, and somatic studies. She recently completed a Postgraduate Diploma of Health Science at AUT. Drawing from a spectrum of therapeutic techniques Jocey's work helps to reduce tension, stress, and OOS, relieve pain, improve posture and movement capacity, support good balance and awareness throughout the whole body, and invoke harmonious mind-body wellbeing. Clare teaches mindful change through deep relaxation, hypnosis and guided imagery. her clients learn how to utilize the deep connection between brain and the body to update their subconscious thoughts and develop positive habits and behavior, for well-being and self management. After one session it is common for Clare's clients to feel pleasantly calm, grounded and settled within themselves. Having trained and practiced for many years in Los Angeles, Clare's work includes the modalities and research of Brain Science, Neuro-linguistic programming, Dream therapy, Therapeutic Guided Imagery, brain wave Sound Therapy and Kappasinian Hypnotherapy. Clare also incorporates an intuitive approach, while sharing common sense and practical solutions gained of both her training and personal life experiences. Education includes certification in Clinical Hypnotherapy, Reiki Level 1, Advanced Handwriting Analysis, Dream Therapy and Therapeutic Guided Imagery from the Hypnosis Motivation Institute in Tarzana, California. Deven holds a Doctor of Medicine* and a Doctor of Medicine in Alternative Medicines and is a Registered Advanced Natural Medicine Practitioner with NHPNZ. A Fellow of the American College of Legal Medicine , Deven has also completed a clinical international observer placement with the – The Christie NHS Hospital in Manchester , UK in 2017 and during this time completed the Diploma in Occupational Medicine training course with Royal Society for Public Health (RSPH). Deven firmly believes in a holistic and integrated approach to health and all around wellness and therefore advocates treatments for patients which are evidence based and natural in their roots. The best steps are the ones which are targeted at preventing illness and maintaining wellness in those precious “golden years” for great quality of life. With advances in modern science the treatments need to be precise to cover all elements of a person’s emotional and physical wellbeing. As a Fellow of the Royal Society of Public Health (UK), Deven has a firm commitment to addressing the ever increasing problem of Non Communicable Diseases (NCD) in New Zealand using all avenues of public education , awareness and advocacy amongst a myriad of other tools to highlight the problems associated with suboptimal lifestyle choices . Lifestyle Issues and Nutritional matters. Natural Facial Lift Massage – NFLM -[including for specifically diagnosed medical conditions]. Claire has spent 20 years studying movement. She is a UK Qualified Physio, and has worked at the highest clinical levels of Physiotherapy both within the NHS and privately. But movement didn't come naturally to her. Despite being diagnosed with rheumatological Ehlers Danlos syndrome as well as being hyper mobile - she persued a career in endurance sport to competitive level and became a sponsored athlete. “Through ultra distance trail running I have learned the disciplines of efficiency, self-management and determination. That listening to self being kind to the the human body empowers it to perform far beyond expectations when then challenged. In my professional journey I gained experience in the different areas of medicine, specialising in musculoskeletal health, completed a post graduate masters, and progressed from positions as a senior Physiotherapist to Orthopaedic Specialist in a Consultant role. Working within the UK Health Service she gained the experience and confidence to recognise and accurately diagnose physical problems. She has worked with and learned from a variety of specialised and experienced orthopaedic surgeons, sports physicians and general practitioners. In private practice she has worked with young offenders, climbers, children and athletes. “Having moved to New Zealand in 2013 I stepped out further from the confines of Physiotherapy to build a brand and be the professional that puts movement at the centre of health, wellbeing and quality of life. In a short time I have become well known for giving hope to individuals committing to work with me who thought there was no answer to their pain and injuries as well as providing simple answers that transform everyday lives.